LOS ANGELES, Nov. 30 /CSRwire/ - Subaru of America, Inc. today announced it will be hosting a pet adoption event during the 2018 Los Angeles Auto Show. Through a partnership with Best Friends Animal Society’s No Kill Los Angeles (NKLA) initiative, the adoption event is aimed at finding pets great homes in the Los Angeles (LA) community. 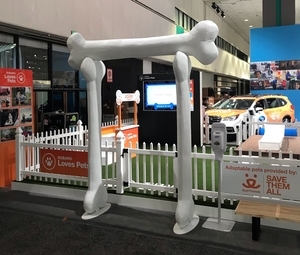 The first-of-its-kind event will be held inside the Los Angeles Convention Center at the Subaru exhibit, located in the West Hall, Booth 102, where attendees will have the opportunity to adopt and take home a new dog.